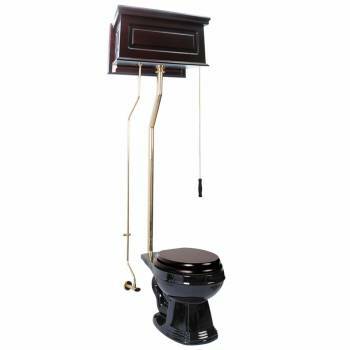 High Tank Toilets L-pipe: Our stylish high tank round toilet will lend your lavatory the charm & ambiance of the Victorian age. We've updated the materials and components with 21st century technology. 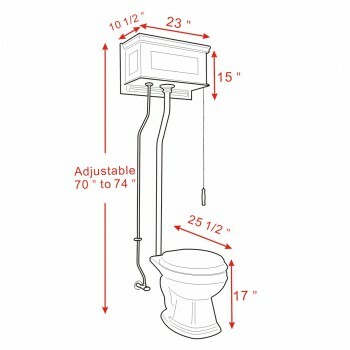 All tanks are a water-saving 1.6 gallons per flush. Ready to install with all mounting parts, includes dark oak finish raised panel tank, liner, supply line, angle stop, mounting hardware and grade A vitreous round bowl. Toilet seat not included. Adjustable overall height 70 in. to 74 in. & adjustable rough-in 12 to 15 in. Wooden Toilet Seat Not Included, Sold Separately. Framed in top-quality and draped in a smooth and shiny finish -- brass colored PVD finish of this set gives charming appeal to any lavatory. This black oak high tank pull chain water closet brings the perfect old-fashioned style to your bathroom. The black oak finish rectangular high tank includes matching black round bowl made of Grade A vitreous china. This handsome set is readily available with all the essential mounting parts. 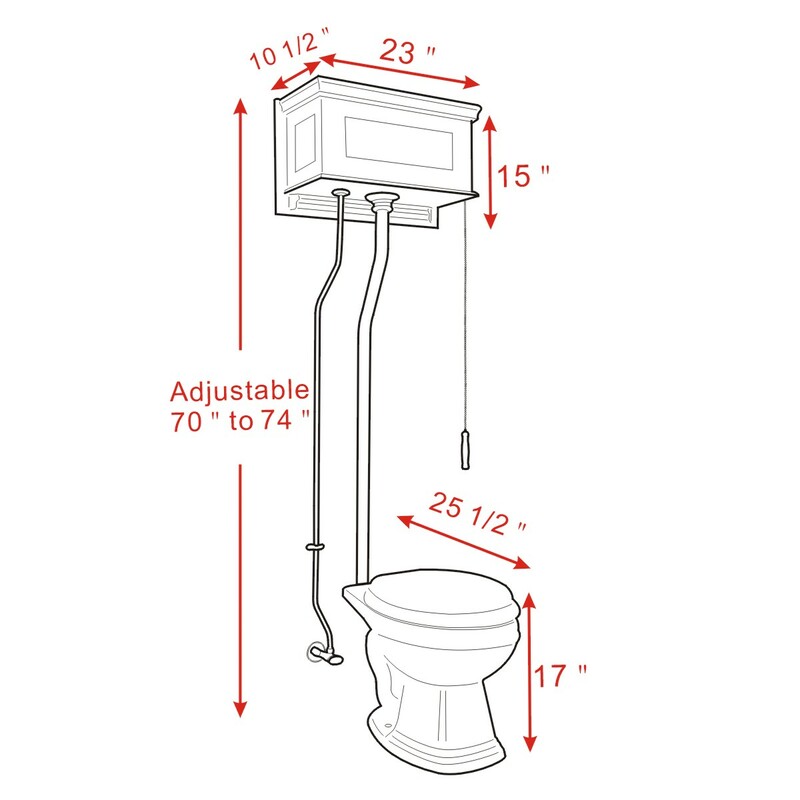 This water closet measures adjustable overall height 70 to 74 in. and adjustable rough.in 12 in. to 15 in.